Now is the time. Clark County is the place. Clark County has opened the floodgates to local private jobs. permit fees, pre-app fees, traffic impact fees, the works. Why? Private business is the economic engine that drives our economy. This is the time and Clark County is the place to grow your business. We love entrepreneurs. 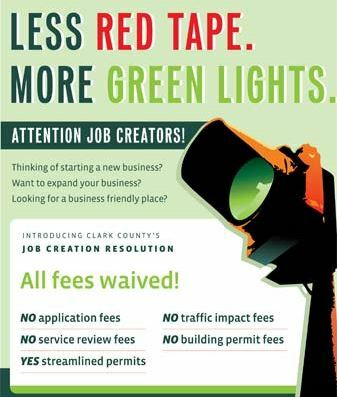 Free enterprise is alive and well in Clark County. We love business! Come and see. We also waived all fees for nonprofit organizations because they serve our community with resourcefulness and generosity. We love nonprofit organizations too. We’ve completely rebuilt our permit center and our staff focuses on making our customers successful. To learn more, visit our permits page here or call Clark County Commissioner David Madore’s cell phone at 360-601-3056.